When I was a little girl, I wanted to be Madeline. I was convinced that we had plenty in common – sure, I couldn’t speak French, I didn’t attend boarding school in Paris, and I wasn’t friends with the Spanish Ambassador’s son, but I was quite short. I’ve since grown up [both in age and stature], and have learnt the French language along the way. 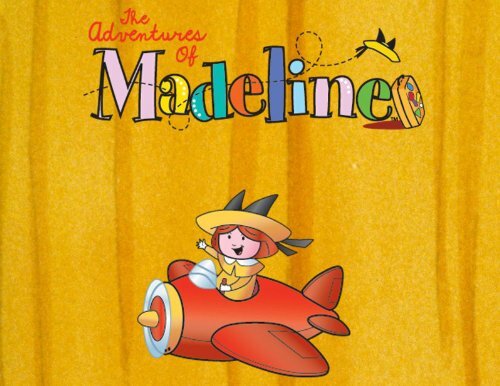 I’ve also discovered a few startling things about Madeline: Luwig Bemelmans, creator of the series, was not in fact French [he’s an Austrian-born American], and despite having conducted numerous searches through many Parisian arrondissements, I’ve never been able to find a vine-covered house resembling that from either the books or television show. I’m beginning to think that it may not actually exist. On a slightly related note, while searching for an image to accompany this post, I came across this. Yes, that is a Madeline/Pepito graphic. I’m not quite sure if I’m comfortable with people shipping characters from television shows aimed at children who’ve just started primary school… What do you think?